Freeze meat, fish, poultry or bones and put them in your green bin on yourcollection day. Put your green bin out for collection every two weeks even if it is not full. Important information about the upcoming January 1, 2015 landfill ban on regional kitchen scraps. Details and information about the procedure for acceptance of regional kitchen scraps at the Hartland landfill kitchen scraps transfer station. 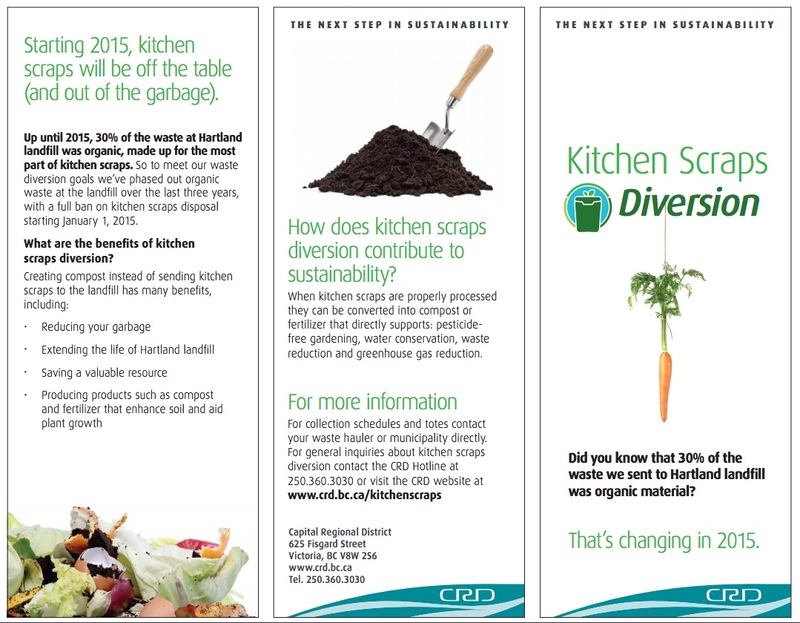 Please refer to the Regional Kitchen Scraps Strategy website for information.